Very special location! This 1 bedroom 1 bath second floor condo is situated in one of the best locations in the complex. 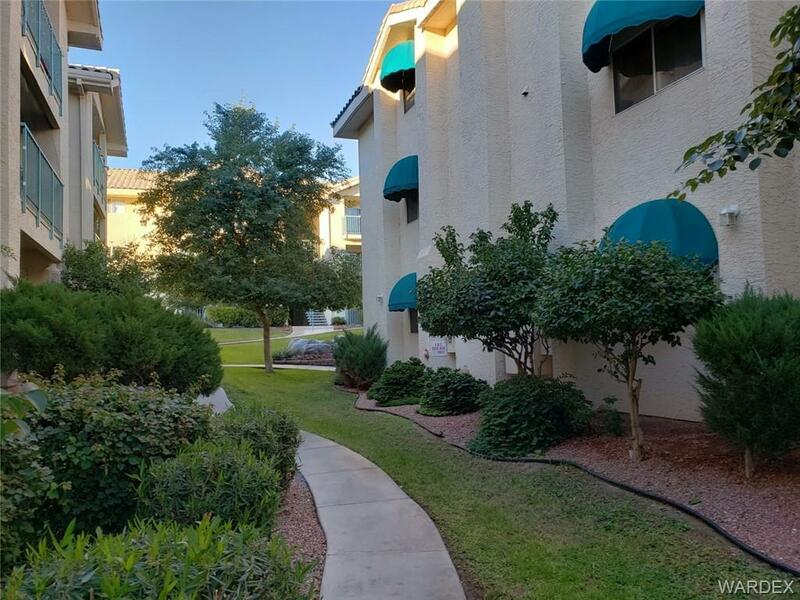 Nestled within the interior of the building and protected by the next building, it is near the serene meditation area in the center of the complex and a short walk from the complex's many amenities. South Bay offers a fitness room, clubhouse, tennis courts and pickle ball courts, and two heated pools and spas - and it's just minutes from the excitement of Laughlin's casinos and the Colorado River.